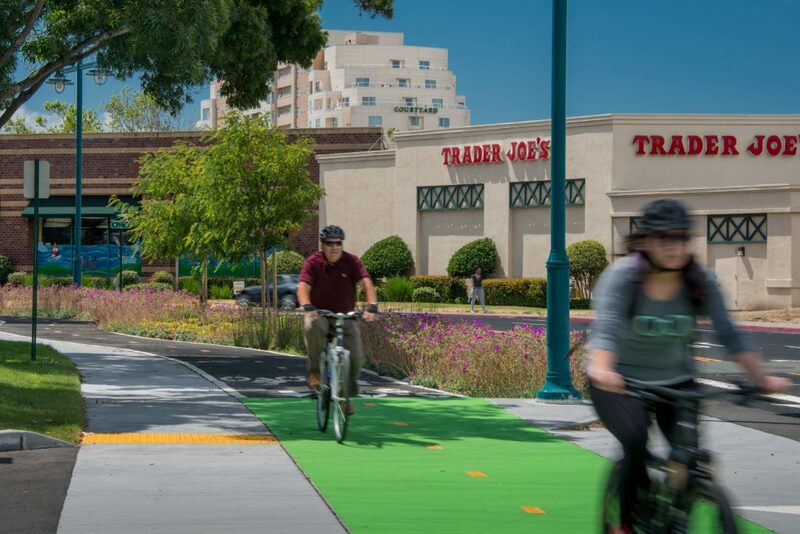 The ambitious Bay Trail project received a vital link recently with the completion of the Christie Avenue Bay Trail Gap called the “The Emeryville Connection”. 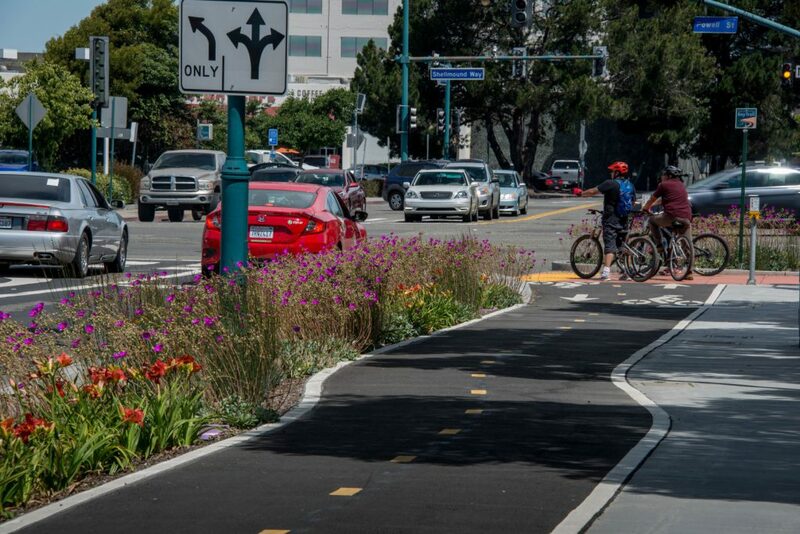 A special ribbon-cutting ceremony on Bike to Work Day officially anointed the section deemed one of the most desirable bike projects by Bike East Bay and was completed roughly three years after conception. 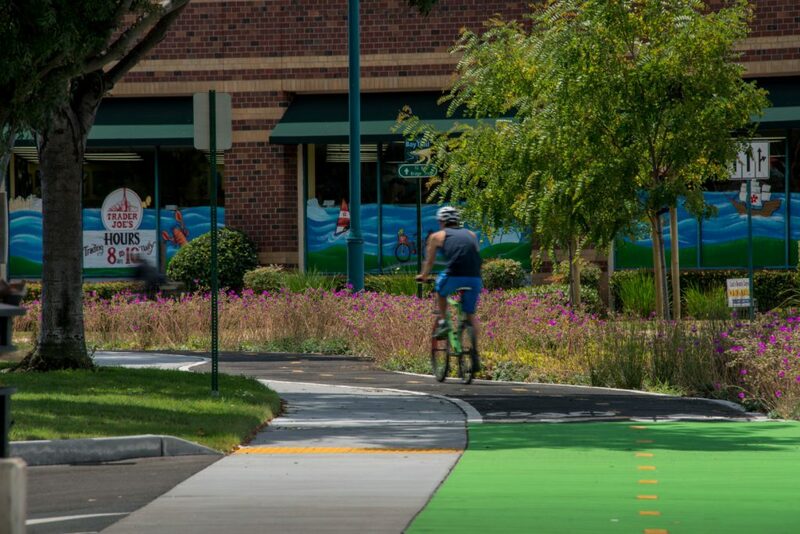 This connectivity, although small, paves the way for a continuous ride from Richmond all the way to San Leandro. 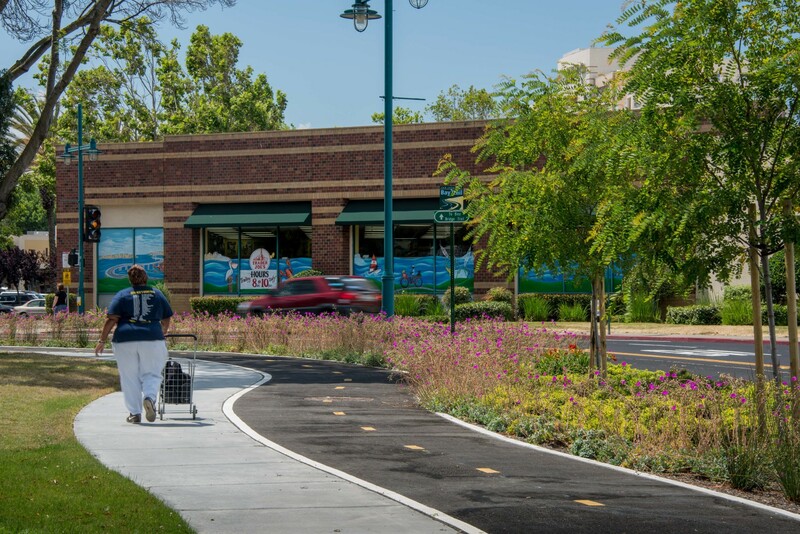 PGAdesign assisted with establishing plans for the connection and completing planting design including stormwater filtration areas.